Wheaton Looking To Slide Into Slot Position | "IT'S A STEELERS WORLD"! With Steelers All-Pro wide receiver Antonio Brown at the #1 and Martavis Bryant obviously making some waves, perhaps sliding into the #2 position there is the slot position needing filled. Enter Markus Wheaton. 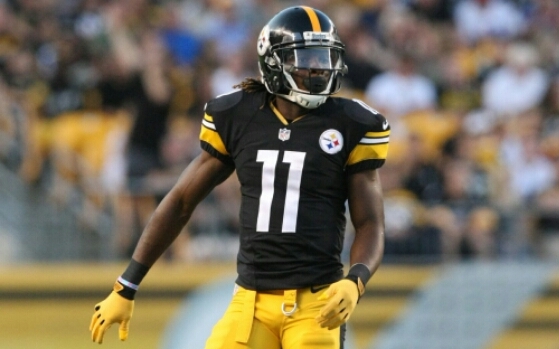 “It only made sense,” receiver Markus Wheaton said. The Steelers not open to alter any part of Todd Haley’s highly successful three receiver formations after Lance Moore’s departure, they had to find somebody to play the slot. And I agree with Wheaton’s statement, it does make sense. Why try to fix something that is obviously working? Keeping a system in process is the key to success..Brown, Bryant and Wheaton will definitely keep that success going. “We will see how it goes,” Wheaton said. “I am excited about doing something different”. Although something not completely new to him. He didn’t play the position at Oregon State other than a play or so, and rarely was in the slot for his first year or so with the Steelers. But during the second half of last season after the emergence of Bryant, Wheaton saw some time in the slot. Playing all 16 games last year while starting 11, Wheaton finished with 53 catches for 644 yards and two touchdowns. A far cry from his injury filled rookie season a year before. Wheaton got a vote of confidence from quarterback Ben Roethlisberger, even though there has been a rough patch or two during the past month. “That’s a position he hasn’t played yet, but I think he can be really good there,” Roethlisberger said. Meaning a lot coming from someone who knows his offensive players both inside and out. “I am glad it happened now,” Roethlisberger said. I could not agree more. And the more I see the Steelers rallying together to make the team better as a whole, the more I can’t wait for the NFL season to begin. Kudos to coordinator Todd Haley, you definitely have made a difference.